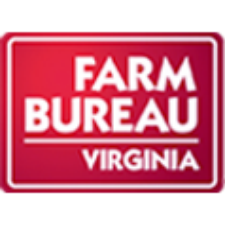 Virginia representatives will join nearly 7,000 Farm Bureau members from across the nation in shaping policies important to farmers and ranchers Jan. 8-13 at the 2016 American Farm Bureau Federation Annual Convention in Orlando, Fla.
Virginia Farm Bureau Federation’s seven voting delegates and two alternates will join their peers in formulating policies related to biotechnology; advance legislation that reforms the Endangered Species Act; immigration reform; and U.S. Environmental Protection Agency mandates on water and air quality. Delegates also will elect a new AFBF president and vice president. Farmers attending this year’s convention also will have the opportunity to attend workshops to help them improve their operations. Topics to be covered include environmental regulations; ag technology trends; trade; food safety and transparency; economic issues; and skills and ideas leaders can apply within their county and state Farm Bureaus.